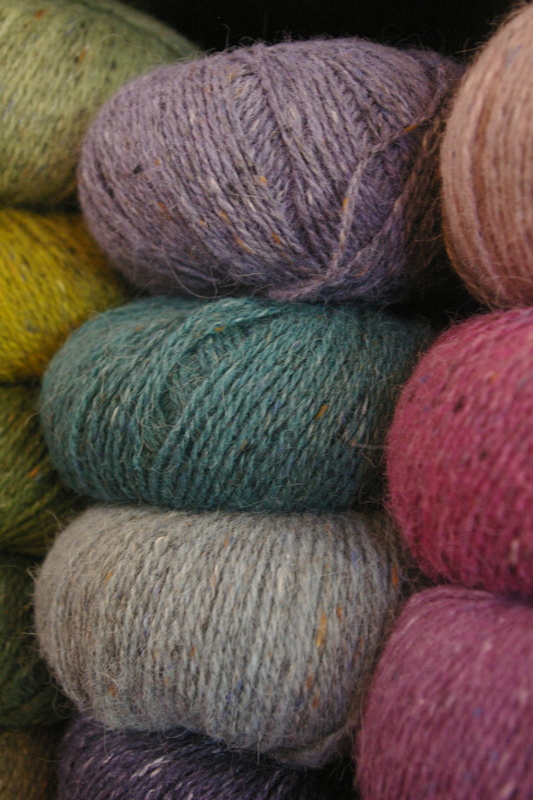 With the beginning of this new and very exciting year at Sunspun (with a new baby, a refit of the shop and website and lots of new yarns on the way! ), we’re introducing a couple of regular blog features to highlight things that we love, both in-store and out in the world. 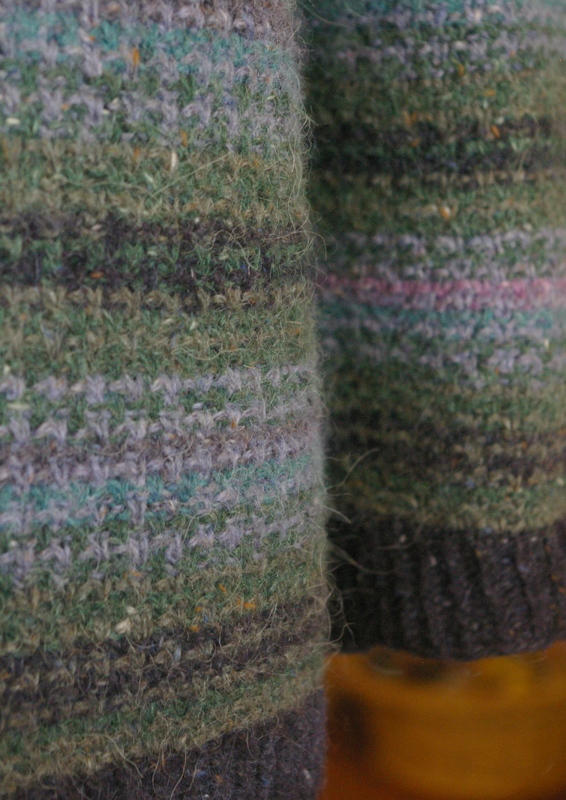 The first of these is In focus, which will feature our most favourite yarn or tool and show some of the magic you can work with it. The second is Things We Love…, a round-up of people, projects and other great things that we are inspired by and want to share with you. So we hope you enjoy these regulars! 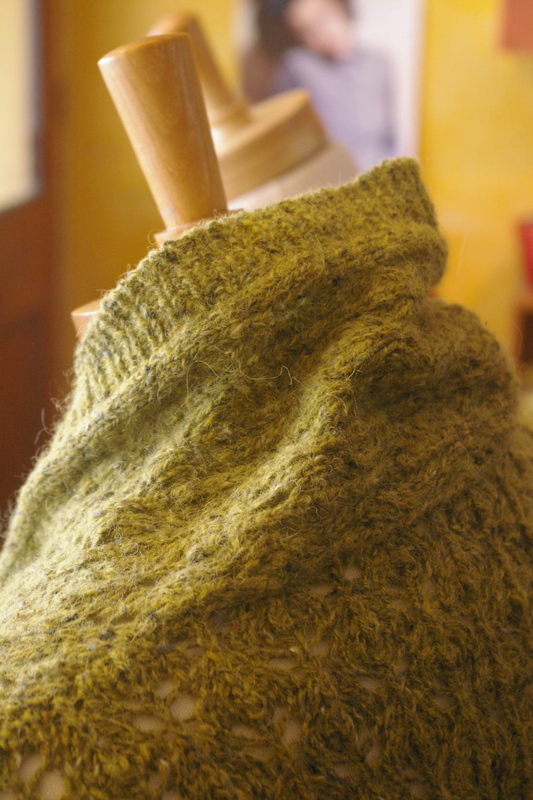 Jackie used Striven from Rowan 42 as inspiration for her incredibly beautiful jumper, using the slip-stitch pattern and colour sequence as a starting point and then developing her own pattern for a custom-fit seamless jumper. 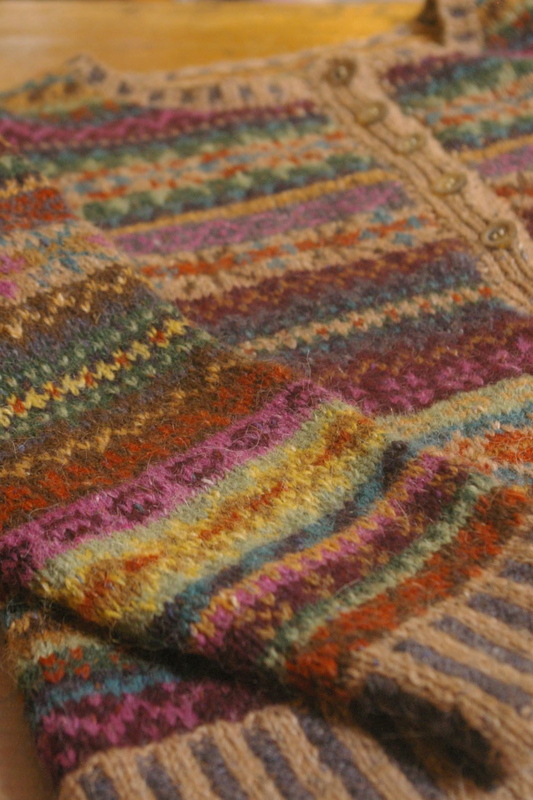 I especially love the single row of accent colour she used at the beginning of each arm! 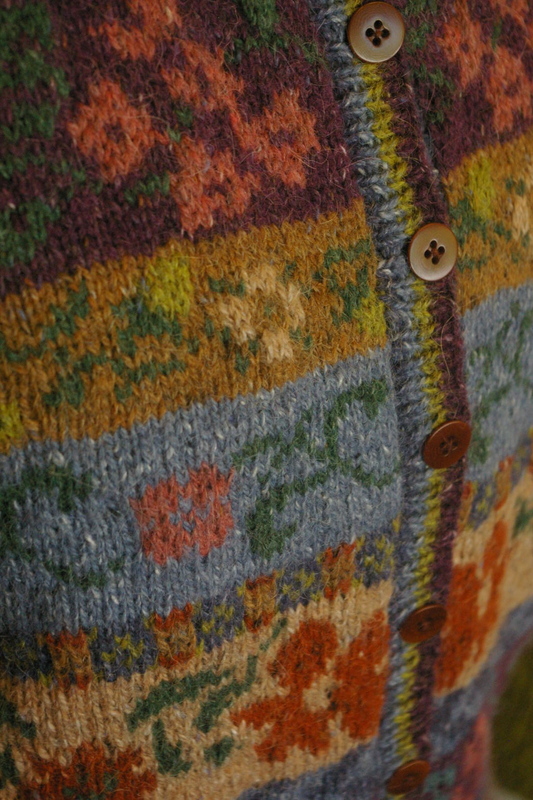 Next up is Jules’ Pomme de Pin, a pattern from American independent designer Amy Christoffers. 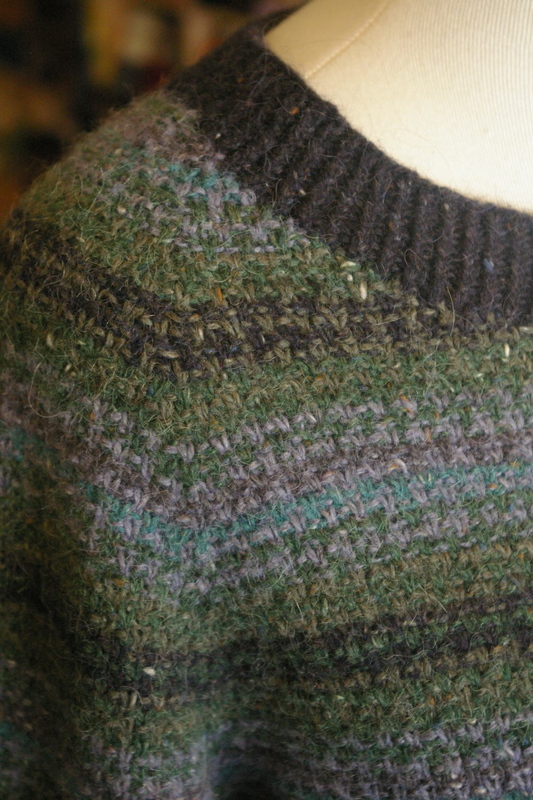 A big, comfy, “boyfriend cardigan”, it features one of Amy’s favourite design elements, a high collar that wraps around the back of the neck, adding to it’s coziness. 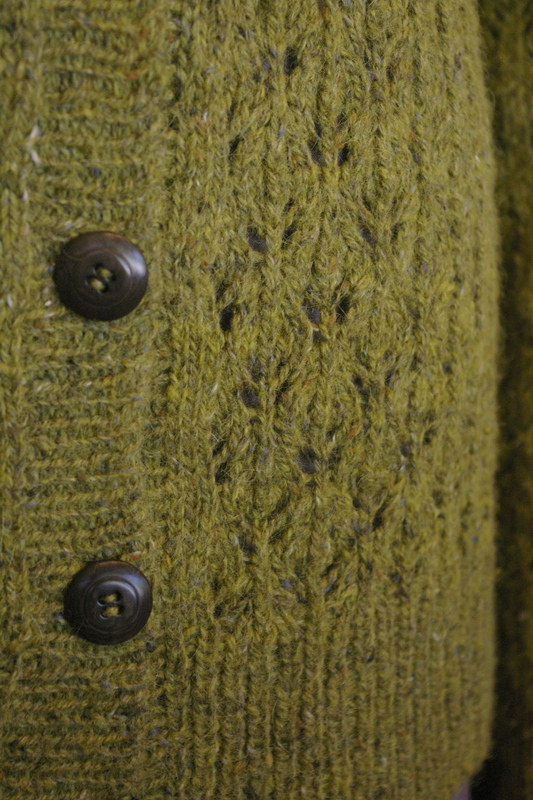 And lastly, the beautiful Maple cardigan, which has inspired a lot of our customers to try colourwork knitting! 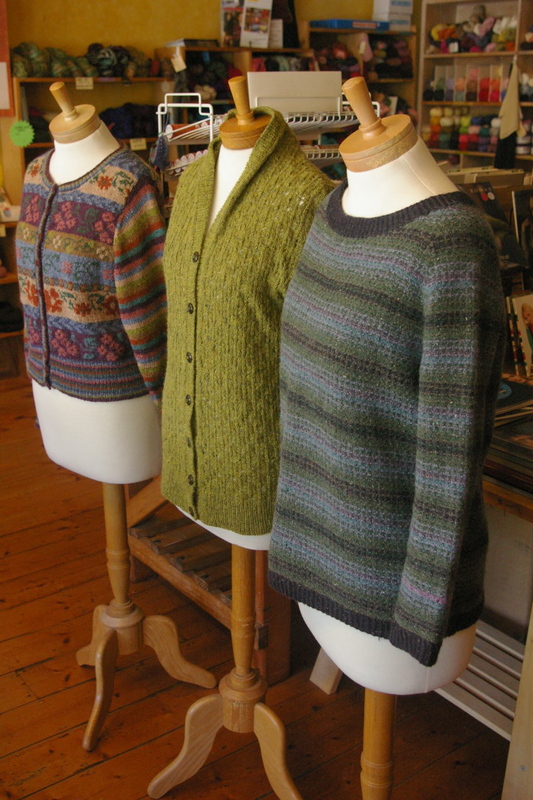 The design really makes use of the beautiful colour range that works so well together and everyone loves the combination of patterned body (worked with a combination of stranded colourwork and intarsia) and stripey sleeves. And, just as we were writing this feature, one of our regulars, Fay, walked in with this! 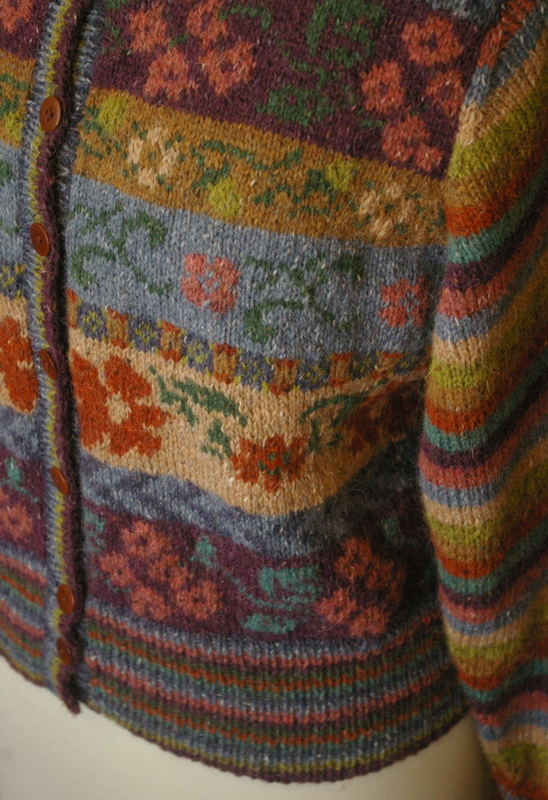 It’s the Orkney cardigan by Marie Wallin from Rowan 52, all in Felted Tweed and, incredibly, Fay’s first attempt at colourwork… isn’t she amazing?! Categories: In focus, Spotted in-store and out | Tags: Felted Tweed, Maple, Orkney, Pomme de PIn, Striven, Sunspun | Permalink.